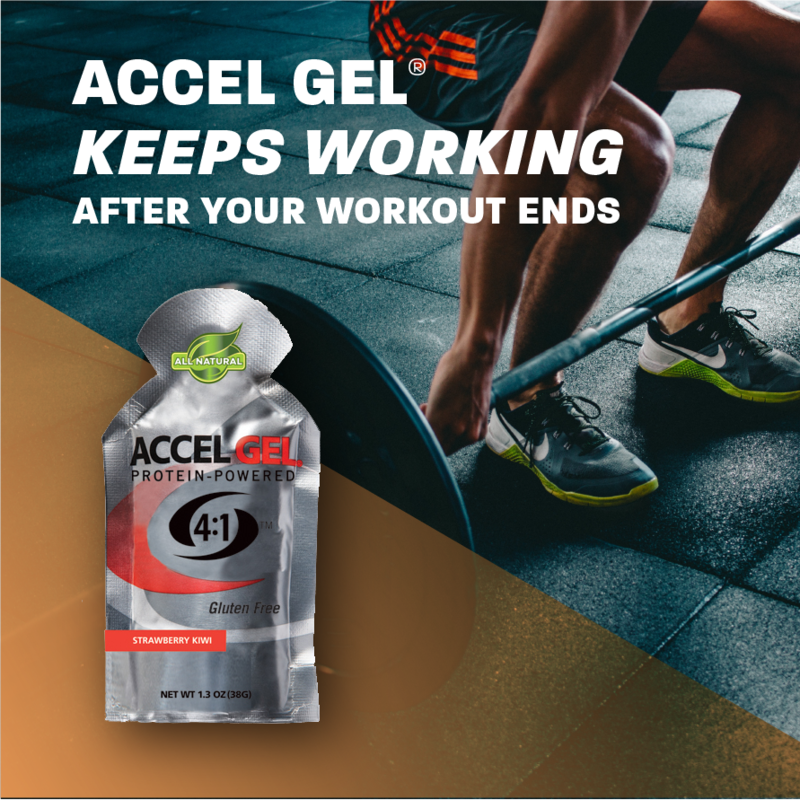 Accel Gel Keeps Working Even After Your Workout Ends. 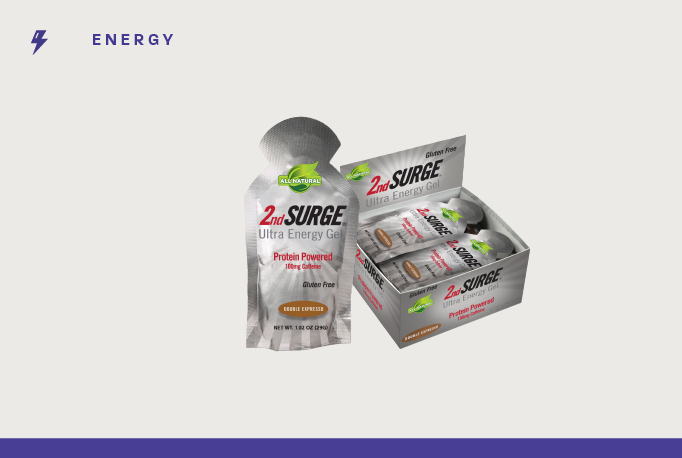 Energy gels serve a practical purpose for endurance and cardio athletes. They should deliver rapidly absorbed energy that is quickly transported to working muscles. There are also practical considerations involving taste and consistency. Carbohydrate, usually in the form of easily-digestable sugars, is the only functional ingredient in almost all energy gels except Accel Gel. 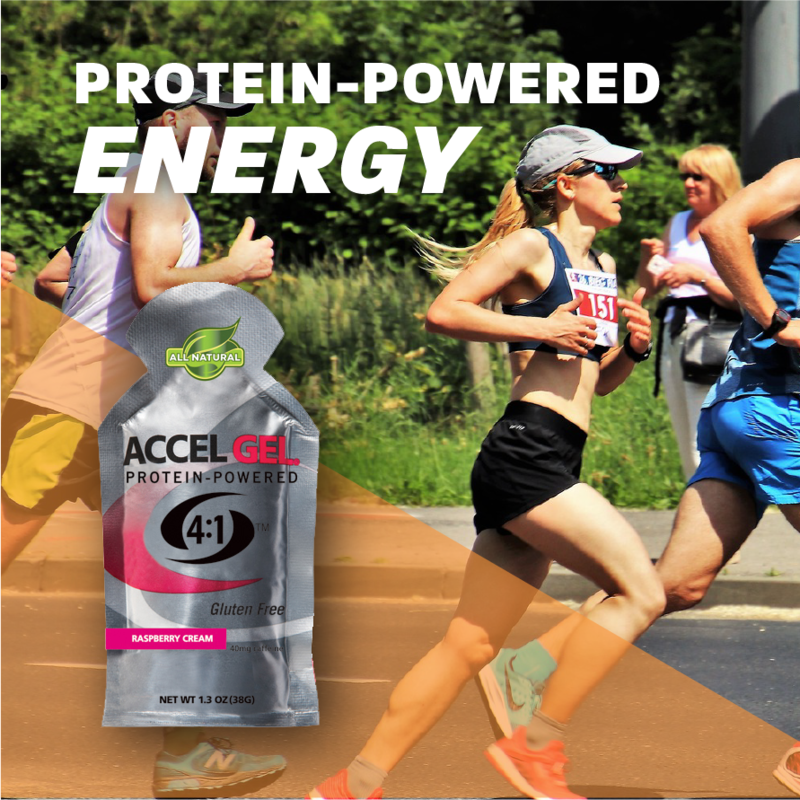 Building upon a broad base of proven science, Accel Gel was formulated using a 4:1 ratio of carbs to protein as well as three high-glycemic sugars for faster energy transport to muscle cells. 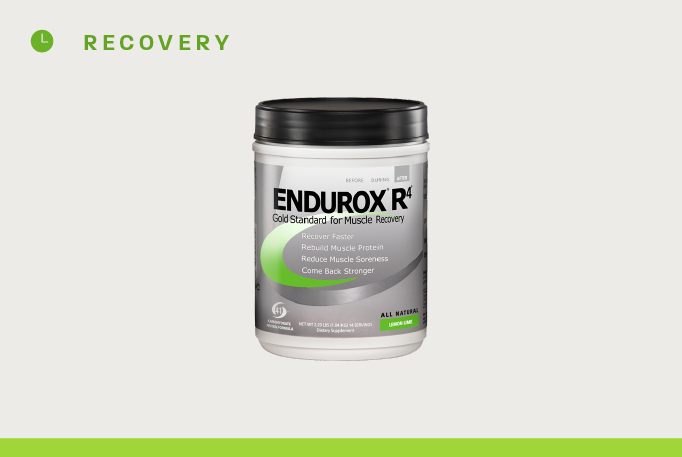 The addition of protein provides multiple benefits in terms of improved endurance and a reduction in post-exercise muscle damage. 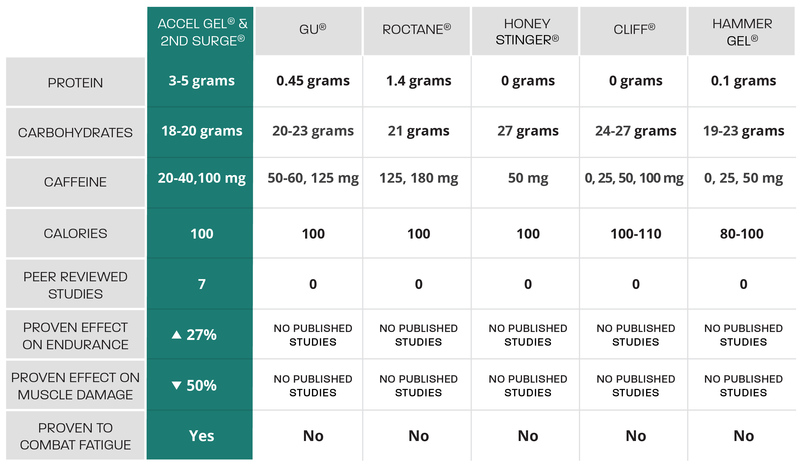 The net result, as shown in the table below, is a superior energy gel. 1. Effects of a Carbohydrate-Protein Gel on Endurance and Post Exercise CPK in Male/Female Cyclists, Saunders MJ, Herrick JE, Luden ND. Journal of Strength and Conditioning Research J Strength Cond Res, 2007 Aug; 21(3):678-84. 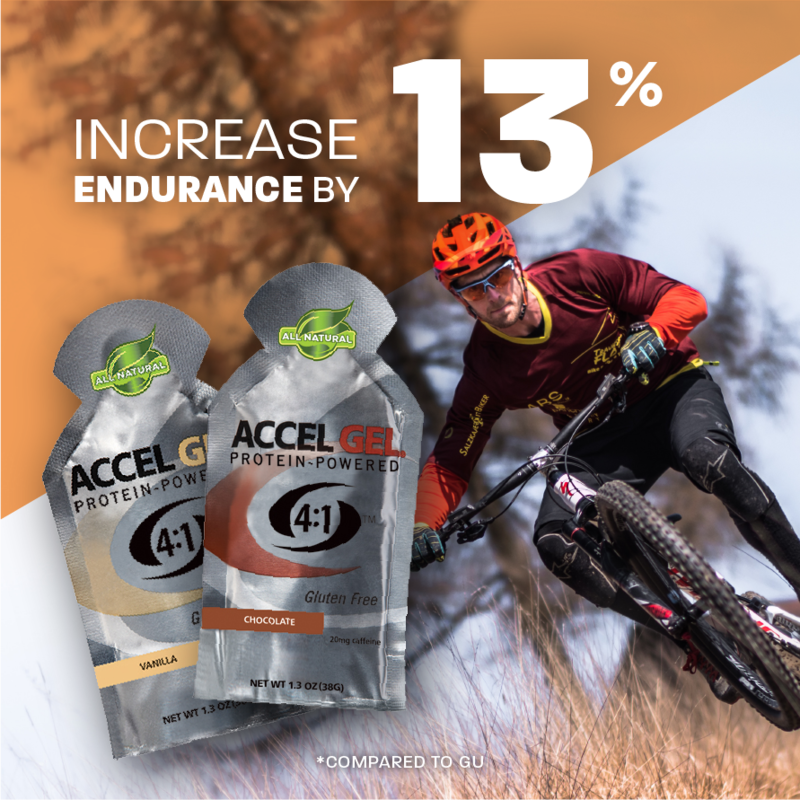 This study demonstrated that "Supplementation of a (carb-protein gel [AccelGel®]) provided significant improvements in cycling time to exhaustion compared to a (carb-only gel [GU Energy Gel®])." It also demonstrated that "post-exercise CPK (a biomarker of muscle damage) was not significantly elevated following the carb-protein gel trial, while it was significantly elevated following the carb-only gel trial." 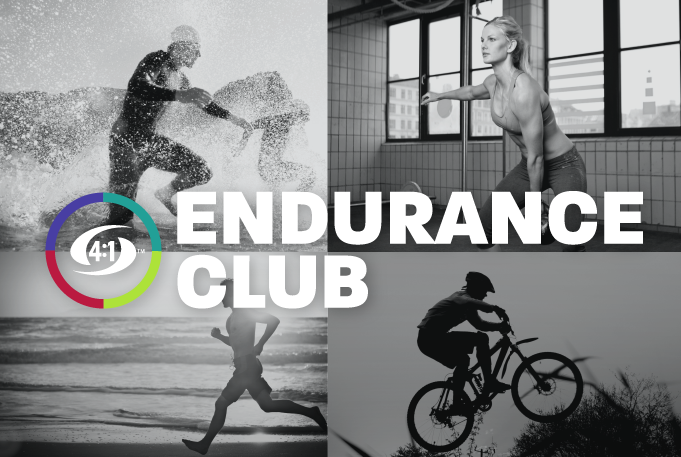 Thirteen recreationally competitive male (8) and female (5) cyclists completed a stationary bike ride to exhaustion while consuming either the carb-only gel with water or the carb-protein gel with water in double-blinded fashion. After each ride blood samples were taken and analyzed for CPK. Subjects performed 13% longer in the carb-protein gel trial than in the carb-only gel trial. CPK levels were significantly elevated after the carb-only gel trial, but not after the carb-protein gel trial. Responses between treatments were similar for both males and females. 2. Carbohydrate and Protein Gel Increases Finishing Success During Slalom Ski Race Training, Kipp R, Seifert JG, Bacharach D. European College of Sports Medicine, Belgrade, Serbia-Montenegro. Kikic, Zivanic, Ostojic, Tornjanski, eds. PP9-3, p 218, 2005. This study involving slalom ski racers demonstrated that "consuming a (carb-protein gel [Accel Gel®]) and water increased training run finish success, increased the number of gates trained per session, and resulted in a lower rating of perceived exertion over a group that drank only water." Thirty ski racers, 14 to 19 years old, were matched by gender, age, and slalom points. During a 2-hour slalom training session, one of the pair ingested a carb-protein energy gel with about 150 mL of water, while the matched skier ingested 150 mL of flavored water after each training run. Skiers using Accel Gel and water missed only 13% of their gates, while skiers using just water missed 34% of their gates. Ratings of perceived exertion were 19% lower on average in the gel group. 3. Effects of a Carbohydrate/Protein Gel on Exercise Performance in Male and Female Cyclists, Saunders MJ, Herrick JE, Luden ND, et al. Journal of the International Society of Sports Nutrition. 2(1):1-30, 2005. This study showed that "[Carb-protein] gels provide significant performance advantages over [carb-only] gels, as similarly demonstrated in studies using [carb-protein] beverages." Thirteen recreationally competitive cyclists completed two timed trials to exhaustion on stationary bikes. At 15-minute intervals throughout these rides, subjects received either a carb-only gel (Gu Energy Gel®) or a carb-protein gel (Accel Gel™), which were matched for carbohydrate content. Subjects rode 13% longer when using the carb-protein gel. 4. Training Impulse is Lower for Alpine Skiers When Consumig a Carbohydrate-Protein Gel, Harmon JH, Burckhard JR, Seifert JG, Bacharach DW. Medicine & Science in Sports & Exercise. 38(5):S408, 2006. This study found that "Using Accel Gels in conjunction with a hydration pack can reduce training impulse of alpine skiers." Fifteen alpine ski racers/coaches completed a study to address training effort when daily water consumption was controlled (1.5 L/session) using a CamelBak. 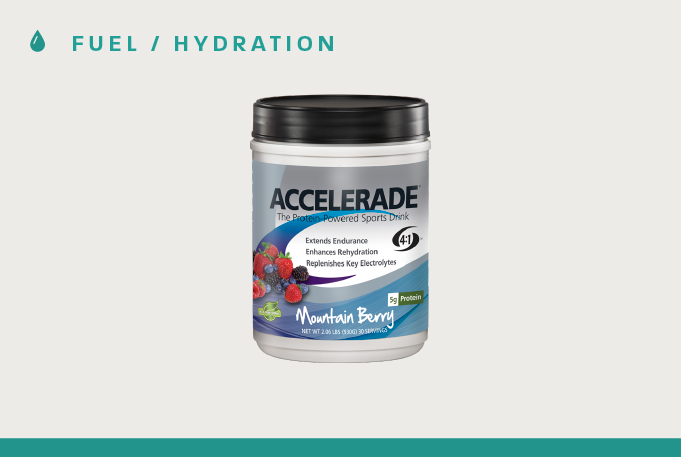 Over a four-day period, on two consecutive days, subjects received carb-protein energy gels (Accel Gel™) throughout a 4-5-hour training session. On the other two days they received only water. Perceived effort was significantly lower on the days when skiers received Accel Gels, although they skied the same vertical distance during both trials. Training impulse equals perceived efforts x vertical distance skied. Therefore training impulse was lower in the Accel Gel trial. 5. A Carbohydrate/Protein Energy Gel Improves Performance in Collegiate Swimmers, Seifert JG, McKenzie R. Presented at the 54th Annual Meeting of the American College of Sports Medicine. This study showed that "A carbohydrate/protein energy gel improves swimming performance in collegiate swimmers." Twelve swimmers completed a workout consisting of a 15-minute warm-up, followed by a timed 200-yard freestyle, 3 sets of 8 x 100-yard freestyle (24 sprints total), and then a timed 200-yard swim. They received either a carb-protein energy gel (Accel Ge™l) or flavored water after the first 200-yard swim and again after each set of 100-yard sprints. They received 4 oz. of water with each gel. Each swimmer did the workout twice (on separate days): once with gels and once without. The swimmers' times slowed down significantly more over the course of the workout when they received only water than when they received the gels. Every timed 100-yard sprint from the 4th interval to the 24th interval was significantly faster for the carb-protein gel compared to the water. Swimmers maintained their times through 21 intervals while ingesting the carb-protein gel; only the 24th interval was slower than baseline. While ingesting water, however, swimmers slowed significantly by the 4th sprint in the first set and they continued slowing through the 24 intervals. On average, their time for the final 100-yard sprint was two seconds faster in the carb-protein gel-fueled workout than in the other workout. Blood samples were taken from the swimmers and analyzed for the concentration of creatine kinase (CK), a marker of muscle damage, before training and 24 hours after training, to determine how much muscle damage occurred during the workout. Swimmers experienced 25% less muscle damage during the Accel Gel workout. This study examined the effect of nutrition supplementation on markers of muscle stress in individuals during indoor rock climbing. Eight experienced climbers performed three bouts of climbing with a week between each bout. During exercise, subjects consumed a carbohydrate drink, a carbohydrate protein gel or a placebo. Blood samples were collected and CK (a marker of muscle damage) was measured 24 hours after each climbing bout. The study showed that the carbohydrate protein gel was significantly more effective in reducing muscle stress compared to a carbohydrate beverage or a placebo. I use these gels primarily on long-distance runs. I prefer them over any other gel I've found for their smoother/more liquid consistency. I don't have to "choke" them down like other gels. They always seem to provide a good energy boost as well. Great fast acting gels. They are not as stiff and sticky as the competitors making them easy to use summer and winter. Based on the advice of a salesman at a local bike shop I purchased Accel Gel. I took 3 gels on a recent 77 mile bike ride. That was the first time I tried a bike ride longer than 60 miles. At about mile 55 I started feeling fatigued. Someone in my group asked me if I had any gels and I remembered I had 3 in my back pocket. I took the first Accel Gel and, after 5-10 minutes started feeling strong again. I definitely felt the difference. At about mile 70 I took a second Accel Gel and felt great and strong enough to finish the ride. A short while later, one of the strongest guys in my group started falling behind and was getting dropped. I slowed down to help him finish. I offered him my last Accel Gel and he accepted. He had slowed down to 12-13 mph but then he increased his speed to 19-20 mph. He was very surprised at the effect he had felt after taking the gel. I must say I am very impressed with Accel Gel and plan to take 3 gels on every ride. 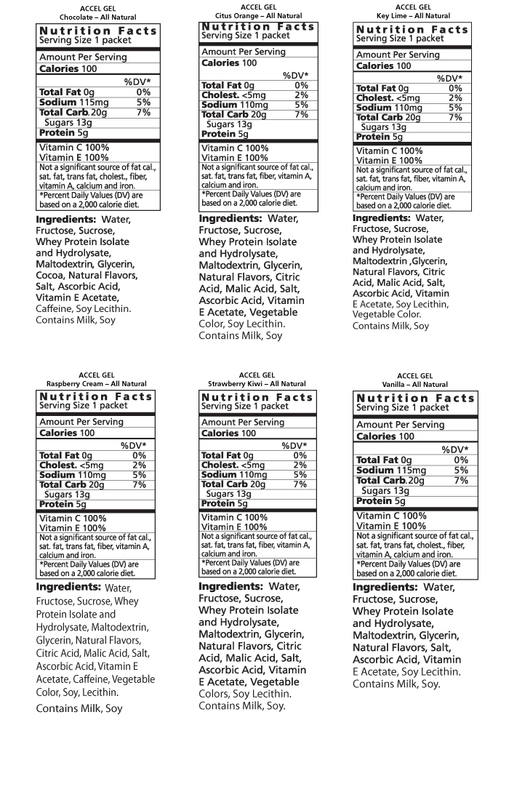 Superior consistency compared to other brands (thinner, easier to swallow). Nice, neutral sweet taste, but not overwhelming. 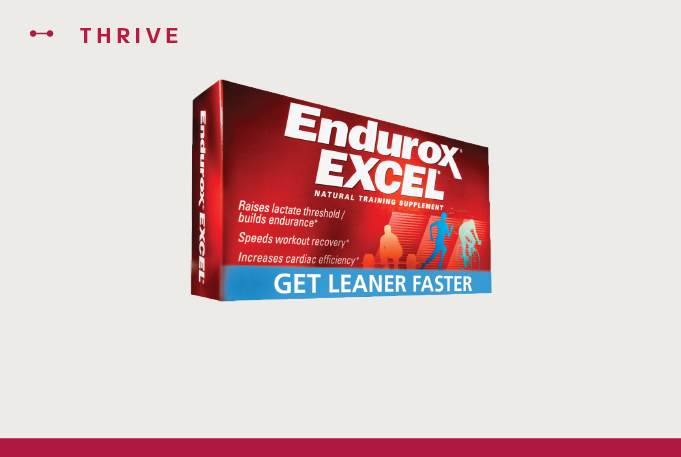 The addition of protein also makes it a superior endurance and recovery product. Just completed my first marathon and I credit these for sustaining me though the race, and also for my rapid recovery afterwards. I felt like I could have run 2-3 days afterwards. Highly recommended, from a 212 lb former strongman (formerly ~260 lbs) turned runner. Yeah, I wish they were cheaper too, but I went through less than a case and a half training for and running the marathon - think how much your running shoes cost. I tried out two of the gels on my long run this past weekend and only have positive feedback: Packaging was easy to open on run. Consistency was nice and fluid! Came out in one squeeze. Easy to swallow. The flavor (raspberry and key lime) was excellent, fruity but not too sweet. The performance seemed to work. I got through my 16 miles without running out of energy or glycogen. Easily digested. 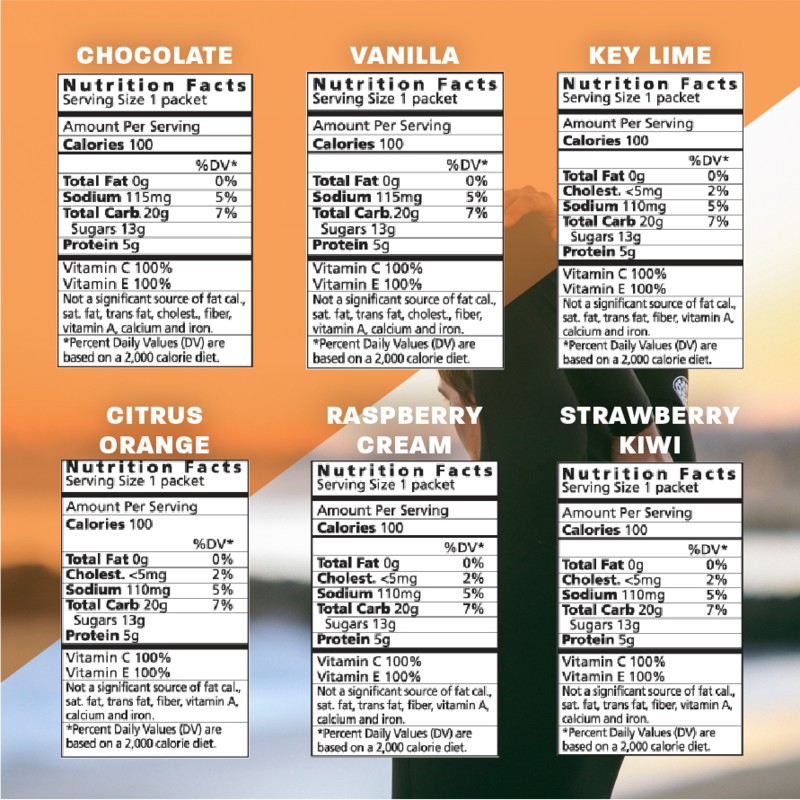 The best tasting gels(my preference is the Key Lime) I have used, and like many of us I have tried a bunch. 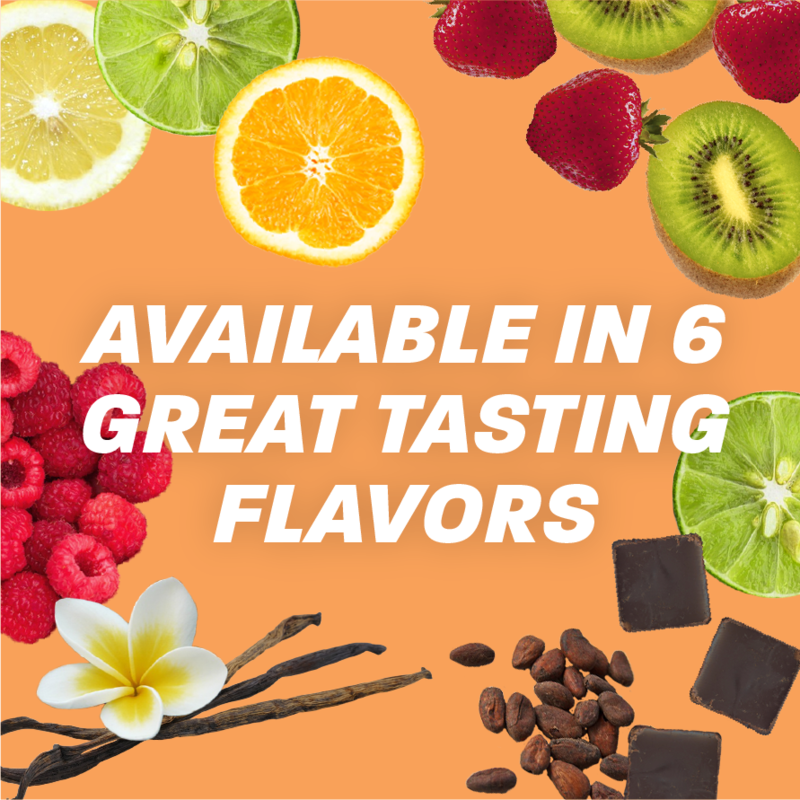 All the gel flavors have a great taste that is sweet but not sticky or over powering. The protein in the gel seems to give them just a hint of savory, it's hard to describe but delicious. Beyond all that though, these gels work great! I used them to run several PR's including cutting 15min off my marathon to qualify for Boston. They go down easy and don't give me any stomach issues. I don't do any endurance activity over 1.5hrs without them. Great fueling and I can honestly say I have been able to do long, intense runs and recover faster to continue training since I started using these gels. 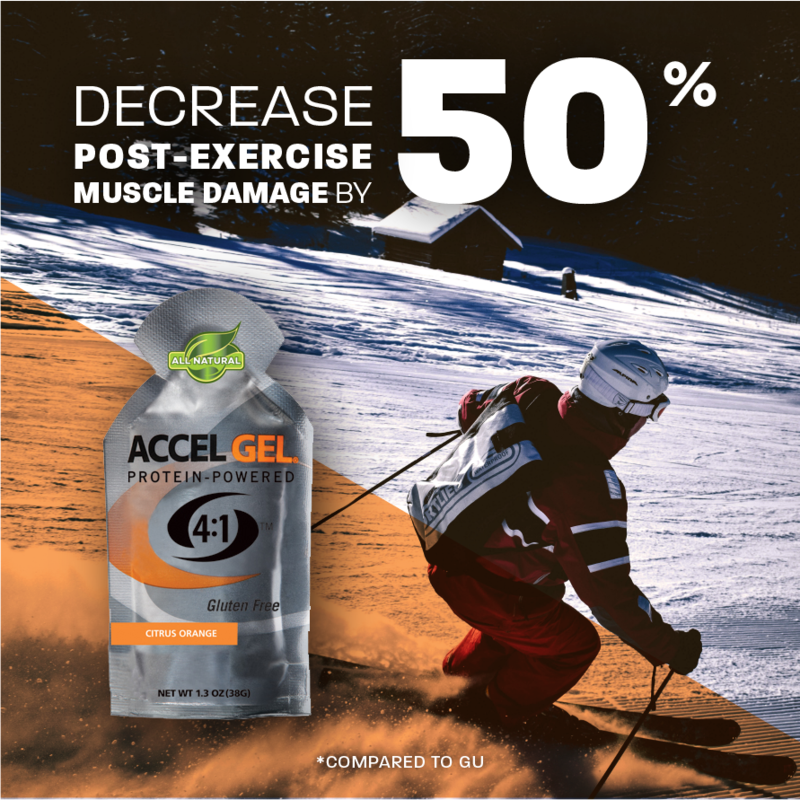 Accel Gel has taken my training to a new level and I am not looking back! I use these for the weekend long runs. I have read varying theories on how frequently these need to be consumed, but I take my first at mile 8 to give it time to go through my system and kick in, and then one gel every hour. This has worked well for me, and the product delivers every time. Once I fell short of gels and I could feel the weakness towards the end of the 20-mile run. The gel itself has a decent texture to it. Yes, it is sticky like most gels, but I found this one to be less sticky and more easy to digest compared to GU and Power Bars (the only two other brands that I have tried). Taste wise it is a little sweet, but doesn't have an after taste. 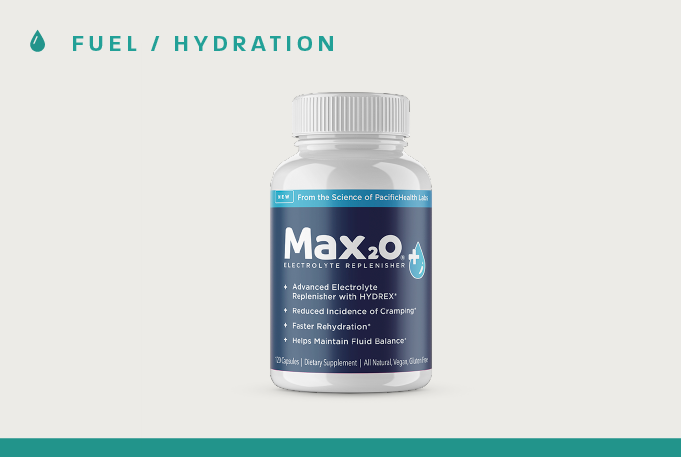 It is recommended to take a few sips of water before taking the gel, and then washing it down with 6-8 oz of water. The AccelGel doesn't have the spike and trough that I notice with GU. This keeps energy level high but does not wear off after some time. This was my main conern with GU which is why I switched to AccelGel. The one key ingredient lacking in this Gel is sodium (and actually potassium as well, so that makes two). I used to carry salt packets with me. But now I carry Cliff Shot Blocks to supplement these gels - the bloks are loaded with both these ingredients. The combination works great! The packaging of these gels is fairly easy to open on the run. The only word of advise for people trying these for the first time - squeeze the packet into your mouth when taking these gels. The first time I used this gel, I put the packet in my mouth, and then pressed and pulled from the outside as I bit on the packet. The packet has a aluminum like rigid outer edge, which caught the sides of my mouth and it burnt like crazy all day. Lesson learnt the hard way! Now I simply crush and squeeze the packet from the outside, works great. Great For Golf - Power Packed And Portable! I'm not a huge "endurance" guy but I always keep a few packets of accel gel in my golf bag and it keeps me going for a long round. I never take a cart either so it's nice to have a light weight energy lift that doesn't weight the bag down. HUGE FAN here, thanks! Loved the raspberry cream, especially the fact that it's liquid and goes down easier than other gels! Chocolate - the best for pre-work out and to refuel during. Great taste, goes down easy too.